An inclinometer system has two components: (1) inclinometer casing and (2) an inclinometer measurement system. 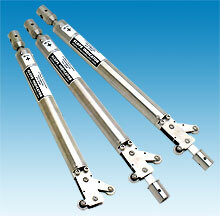 Inclinometer casing provides access for subsurface measurements. 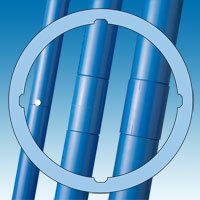 Grooves inside the casing control the orientation of the sensor and provide a uniform surface for measurements. It is usually installed in a borehole and can also be embedded in fill, buried in a trench (horizontal inclinometers), cast into concrete, or attached to a structure. Portable measurement systems include a probe, cable, and readout. Portable systems are economical because they can be carried from site to site. They are accurate because the entire length of the casing is measured twice in each survey. The first survey establishes the initial profile of the casing. Subsequent surveys are compared to the initial. Changes in the profile indicate that movement has occurred. 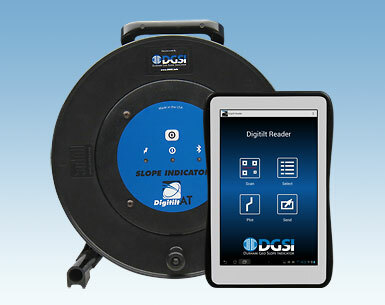 Slope Indicator offers the Digitilt Inclinometer Classic System, which has been the world standard in precision and reliability for many years, and the Digitilt AT System, which takes advantage of newer technologies. Inclinometers generate more data than most other types of sensors. For example, an ordinary survey may generate several hundred data points. Over time, tens of thousands of data points must be reduced, compared, plotted, and archived. Slope Indicator's DigiPro2 Software is designed to speed these tasks. In-place measurement systems are installed when continuous monitoring is required for construction control or safety. 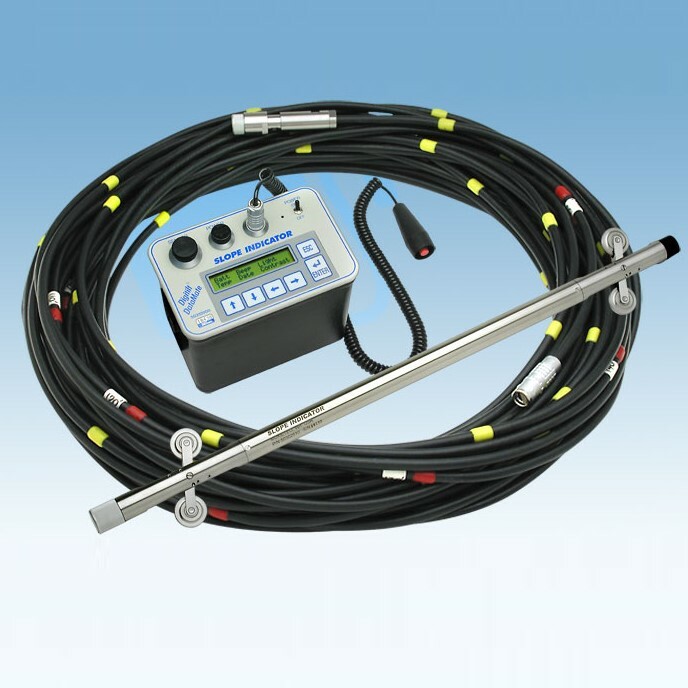 The in-place inclinometer (IPI) system consist of one or more dedicated sensors connected to a data logger. The sensors are positioned to span the zones where deformation is likely to occur. In-place systems generate even more data than portable systems, and often the data must be processed and distributed immediately. Slope Indicator's Atlas web-based monitoring performs this task, automatically processing the readings, checking for alarms, and generating graphs and reports. A spiral sensor provides readings that can be used to correct inclinometer data obtained from spiraled casing. Spiral surveys are recommended when the installation is very deep, when readings indicate movement in unlikely directions, or when difficulties were experienced during installation.